I must confess that I’ve been taking advantage of the long, warm evenings to sneak out after work for a quick walk around the field behind my house. I’ve been hoping to find stoat tracks or, even better, catch a glimpse of the stoat itself. Unfortunately I’ve had no luck with the stoat, nor with the tracking. The ground is baked too hard for me to make out any clear tracks. I’m pretty hefty, and even I barely leave a mark on the rock-like clay. I can find patches where the dust has been disturbed but I have no idea what has passed by. Something as small as a stoat would leave very little trace. But one of things about a field like this is that there’s always something to be seen if you look. I mentioned that the field is on the regular beat of a badger. I haven’t seen its tracks lately, but I did find one of its feeding signs – a dug-out wasps’ nest. Badgers are (as far as I know) the only animals that will do this. They aren’t after the adult wasps, but the juicy, protein-rich larvae. Dry spells, like the one we’re in now, aren’t good for badgers. It’s harder for them to find and dig up worms so they need to look for alternative sources of food. Wasps’ nests are ideal. This one must have been dug out last night. I walked past here yesterday evening and there was nothing to see. There were still some wasps in the nest, but it had been quite comprehensively dug out. Just the article we were hoping to see… We had a wasps nest which I was due to deal with, but we looked out of our kitchen window this morning and there was just a big hole. It has happened once before and we suspected badgers, but you have confirmed it. Annoyingly for the badger, (and for us!) a root prevented all the grubs being eaten. Maybe the badger will return… anyway a big thank you to the badger. thanks for the comments about the baders and wasps nest. I discovered a dug out wasps nest this evening and couldnt decide if it was caused by a fox or badger. I have never seen a badger in this area but its encouraging to know they are about. Thanks for the interesting discussions above. I was at “Bellamy’s Bank” yesterday near Tideswell in the Peak District where I live and I came accross two wasps nests which had been dug up and torn to pieces. What animal would be capable of doing this? I thought to myself – Honey Buzzards perhaps, but badgers is the more likely explanation. 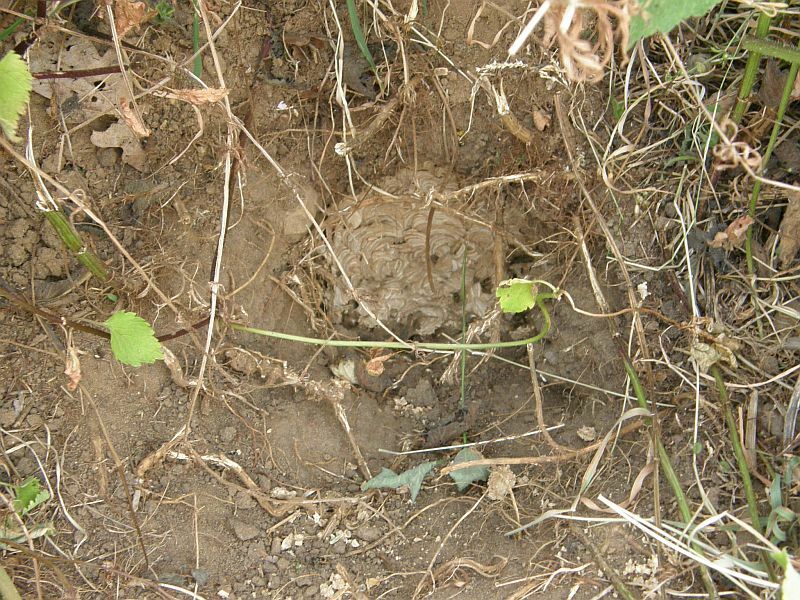 I have come across exactly the same thing: wasp nest dug from the ground. I have been wondering, too: fox or badger? 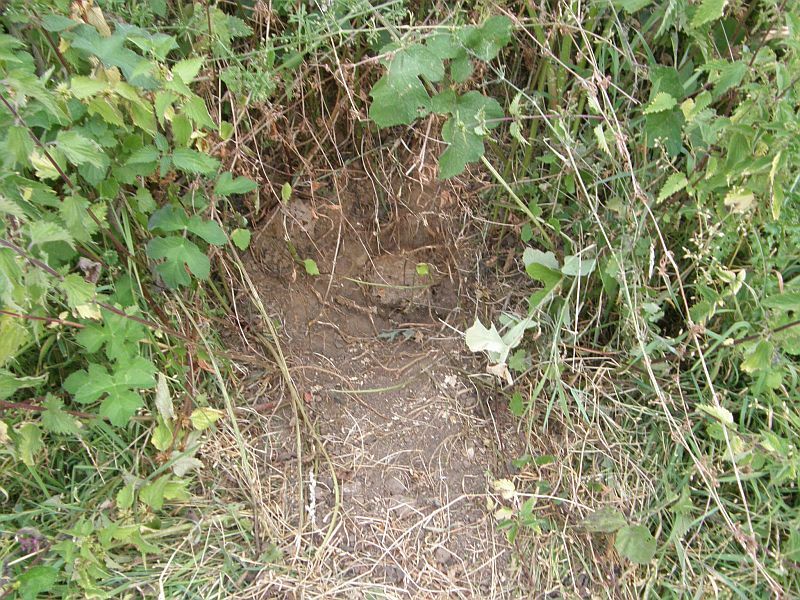 The nest I found a couple of weeks ago was within 50 metres of a long line of badger setts. I know that the marsh foxes spend a lot of time around the badger setts, but I haven’t been able to find distinct paw prints to nail the culprit – I think it could be a fox or a badger. If I had to guess, I would say badger. I have an allotment at meersbrook park in sheffield. In my compost heap there is a wasps nest which I have left alone with the view to dig out the compost in winter when the wasps have died out. Today, October18th went to look at the compost heap and found that some animal had dug into the heap and demolished a lot of the nest. Was wondering what it could be, but now feel it must be a badger, although I am not familiar with the area having badgers. I know we have a lot of foxes – that was my first thought, either fox or maybe even hedgehog, but I thought the hole was too big for our prickly friends. If it is a badger, it is nice to know they are trhriving in a fairly urban area. It does sound like a badger. I don’t know of any other British animal that digs out wasps’ nests. And I think urban badgers are getting more common. They’re an adaptable species and seem to be able to live right under our noses without being noticed. Personally, I’m no fan of wasps. As far as I’m concerned they can eat as many as they like. The badgers eat the wasps’ larvae. I wouldn’t mind betting that foxes eat a few, too.